We’re now three months out from the theatrical release of Blade Runner 2049, the long-in-development sequel to a film many believe to be one of the genre’s all-time greats, and if writer-director Denis Villeneuve is feeling the pressure, it doesn’t show. 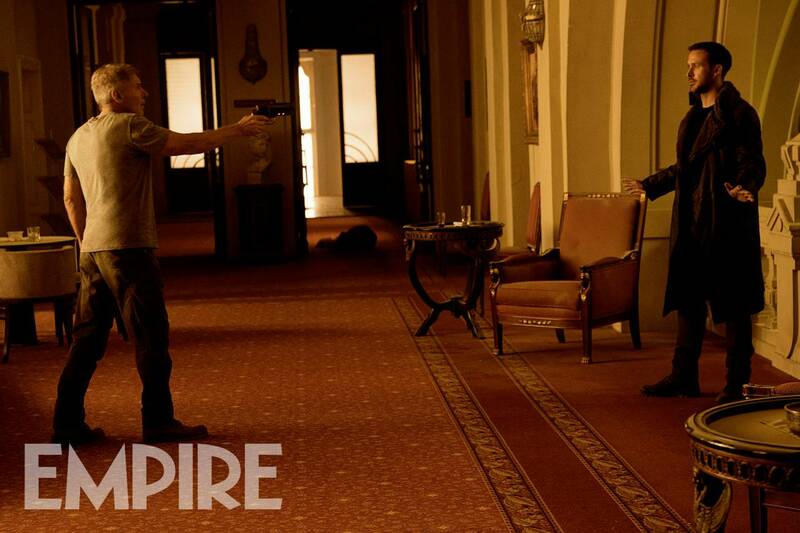 As part of Empire Magazine’s month-long coverage, the outlet spoke to Villeneuve about the inherent challenges of tackling such a time-honored property, along with the dynamic between his leading duo: Ryan Gosling (K) and the returning Harrison Ford, who reprises as gruff LAPD detective (Replicant? ), Rick Deckard. Up first, the Arrival filmmaker touched on those lofty expectations and, perhaps more importantly, how he’s come to terms with working within the Blade Runner sandbox. I’m having the time of my life. no matter what we achieve, we will always be compared with a masterpiece. But what we are doing is so insane, it gives you freedom. Meanwhile, Ford and Gosling look set to become the beating heart of Blade Runner 2049. Story details are few and far between at this time, but we do know that Gosling’s rookie K seeks out the wayward Deckard at a time of crisis, one which surely revolves around themes of identity and artificial intelligence in future Los Angeles. But if the on-screen relationship between Ford and Gosling was fuelled by tension, between takes the two actors passed the time by pulling light-hearted pranks on one another. They were always picking on each other! Harrison would park his trailer in front of Ryan’s. The next day Ryan would decorate his trailer with pot plants. But what about the actual story of Blade Runner 2049? Well, we know it’ll take place a full 30 years after its predecessor, at a time when Rick Deckard has fallen off the radar entirely. Indeed, Ford’s blade runner has been missing for almost three decades, and when K uncovers a potentially shocking mystery, he sets out to find the wayward Deckard and, ultimately, answers. Visually speaking, Blade Runner 2049 is shaping up to be a feast for the eyes, but as Gosling tells Empire, there is darkness lurking beneath that neon-drenched aesthetic. The world has become more brutal. People are trying to survive. [K] discovers a mystery that makes him question his own identity, and Deckard is the only one who can answer those questions.